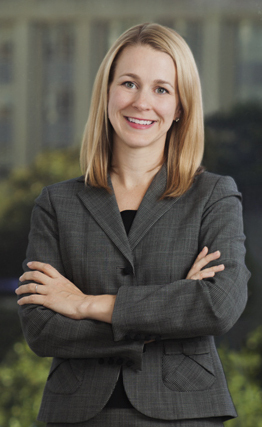 Mary Barkley’s practice includes representation of corporate clients, developers, individuals and governmental entities in real estate transactions and disputes, including eminent domain and condemnation, lease disputes, general property disputes, and constitutional rights litigation, both at trial and on appeal. Recognized as a “Rising Star” in the 2015, 2014, and 2013 editions of Super Lawyers Magazine, a Thomson Reuters service. President-elect Trump’s pipeline vow: What does it mean for Texas? “Liability Is Blowin’ in the Wind . . . or Is It?”, Texas Bar Journal, December 2017. Presentation Approved for CLE Credit, Eminent Domain: Basic Requirements and Common Pitfalls, Johnson County Bar Association (2011). Co-Author and Presenter, Case Law Update, 2010 Dallas Lorman Eminent Domain Seminar. Co-Author, 2006 Second Court of Appeals Case Law Update, presented at the 2006 Tarrant County Bench Bar Conference. Comment, The New Texas Ad Litem Statute: Is it Really Protecting the Best Interests of Minor Children? 35 ST. MARY’S L. J. 1035 (2004).